“Why are you wearing what you’re wearing?” The answers were as diverse as the largely colorful outfits that filled the streets. 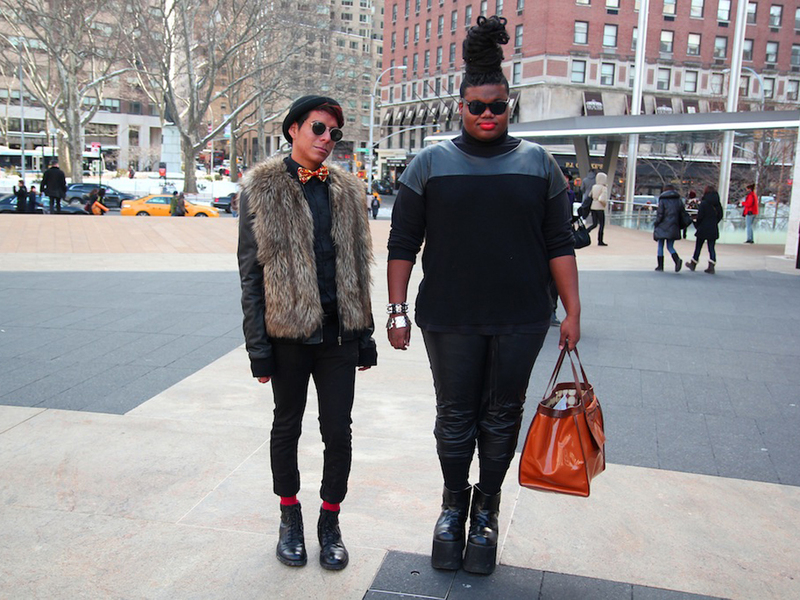 G oodbye, all-black-clad New York. 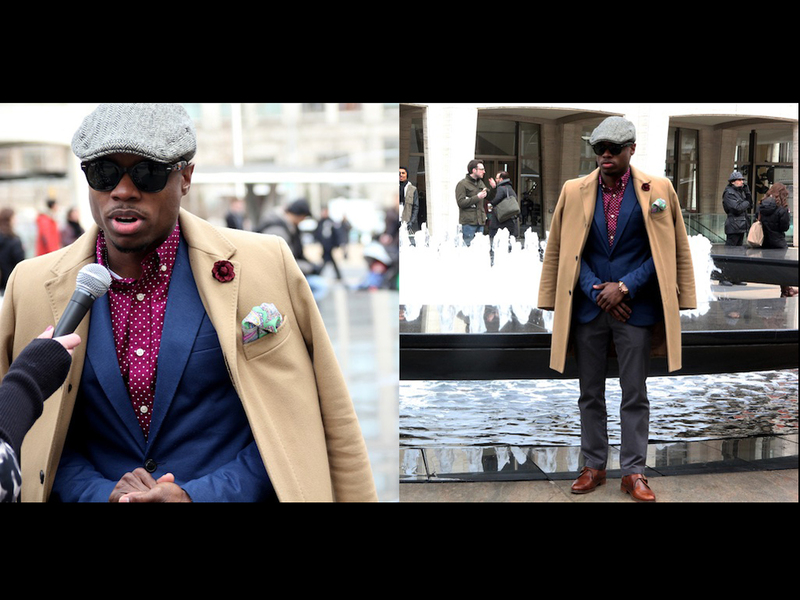 That seemed to be the main message delivered by street fashion during the Winter 2014 Mercedes-Benz New York Fashion Week. Some people wore floral prints. 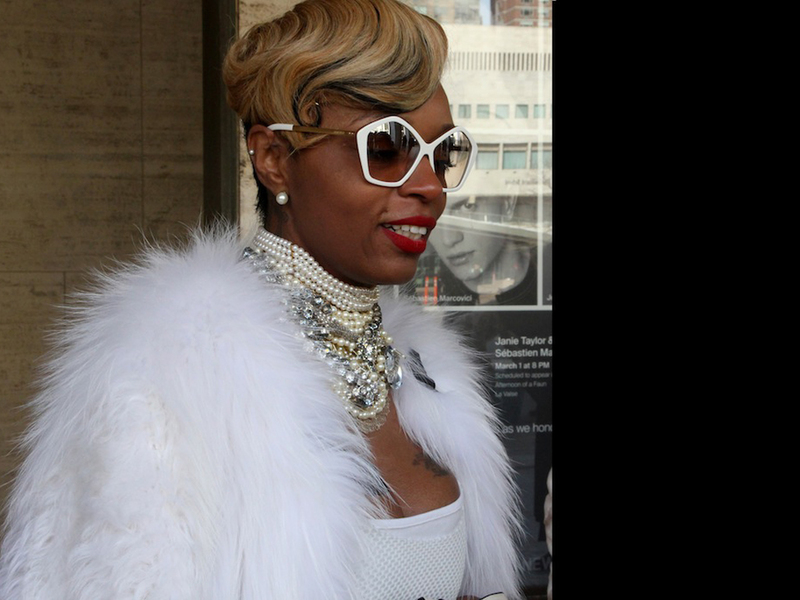 Others wore cheetah. 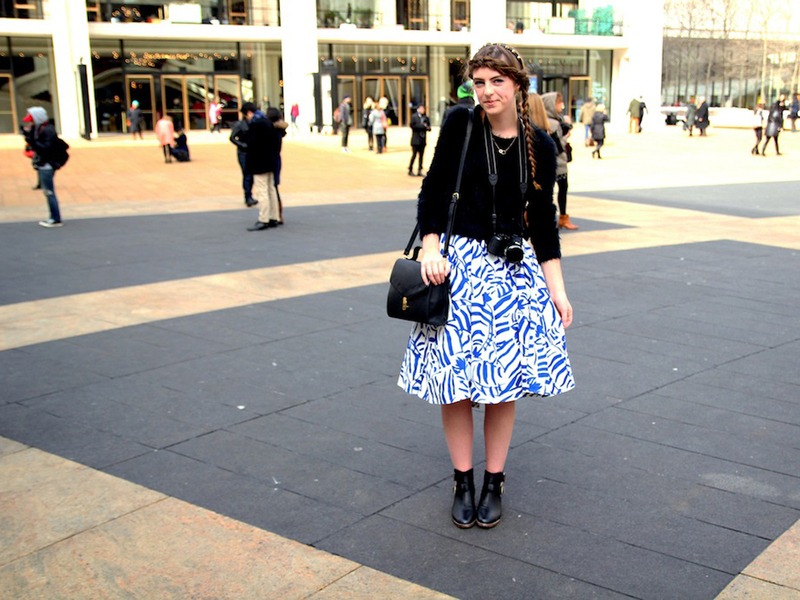 And many wore a generous mix of fabrics. 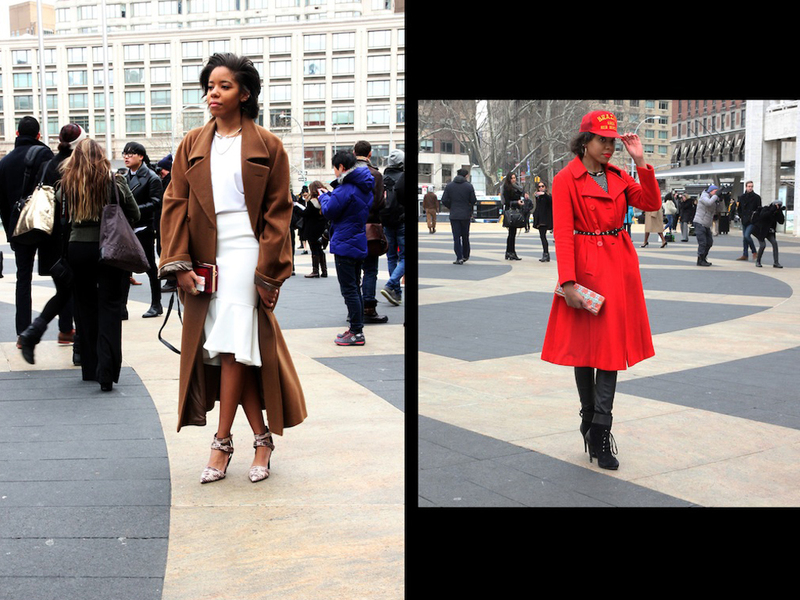 Though black made appearances in some fashion lovers’ outfits, the emphasis was on a pop of color amid the snowy, slushy Manhattan streets. 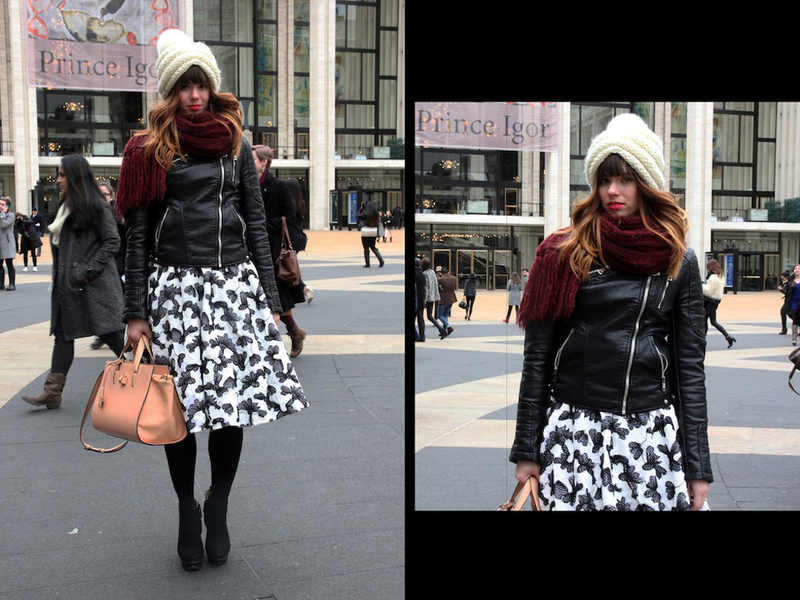 The Lincoln Center crowd cited a yearning to brighten things up, even when struggling to stay warm. 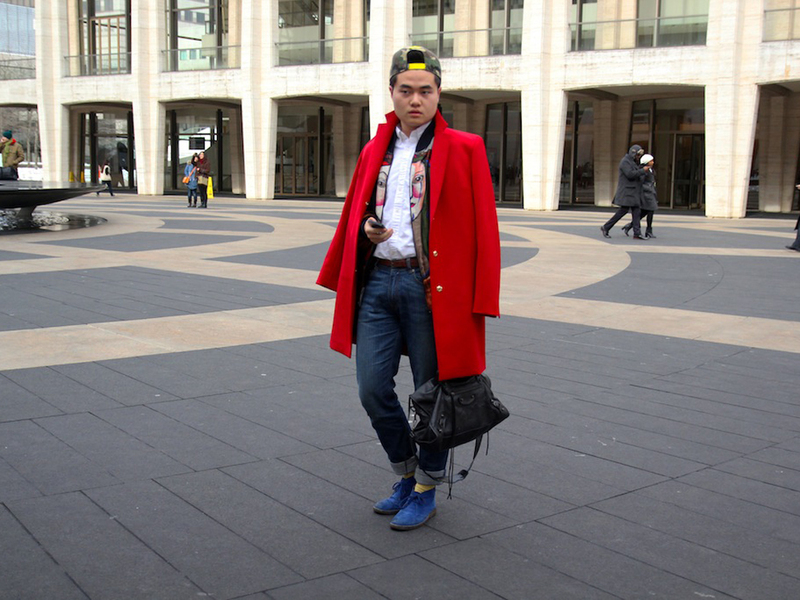 “I need to add color to this gloomy black-and-grey sort of New York,” said Shoug Alabrahim, 23. “I thought I’d throw it together, put a little floral, try to bring the warm weather in,” said Jazzy Schutt-Vanmeveren, 23. 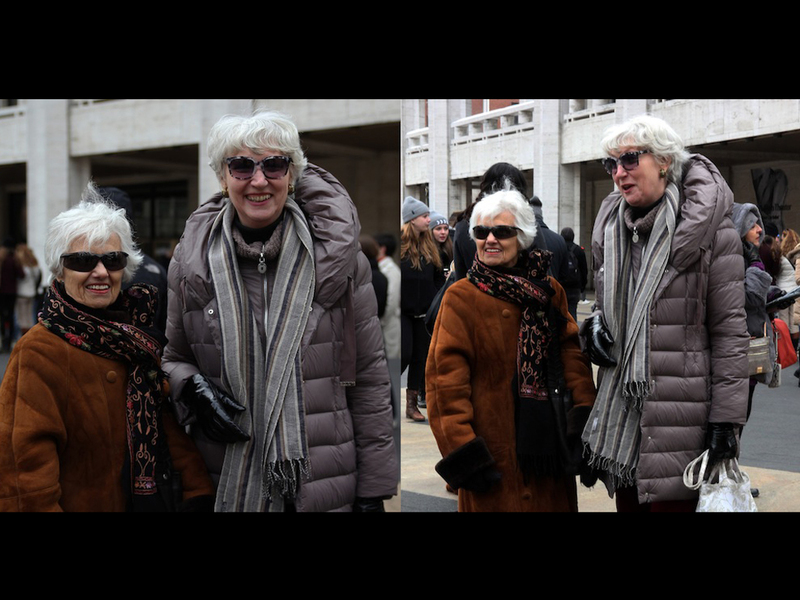 Some took advantage of the cold to wear a variety of oversize, fur and vintage coats – and to accessorize with scarves and hats. 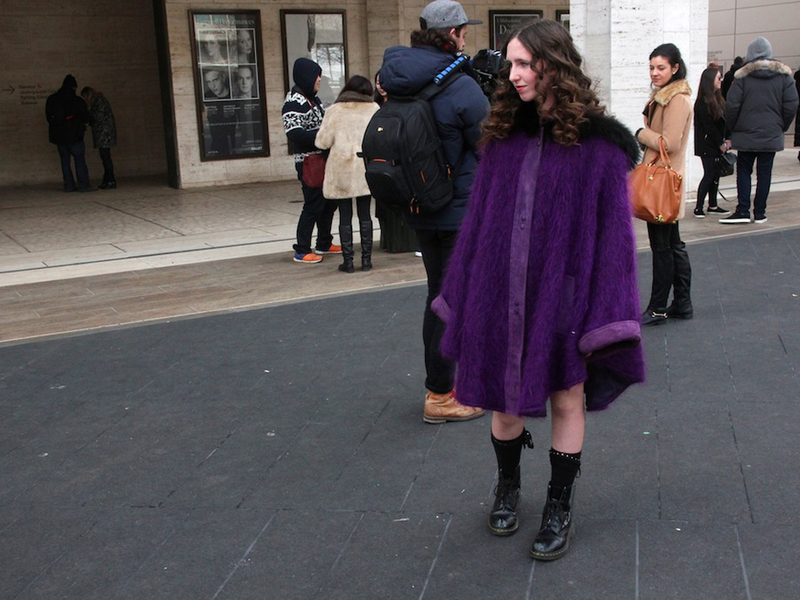 “I was trying to stay as warm as I could without compromising fashion,” said Lindsay Reed, 21. 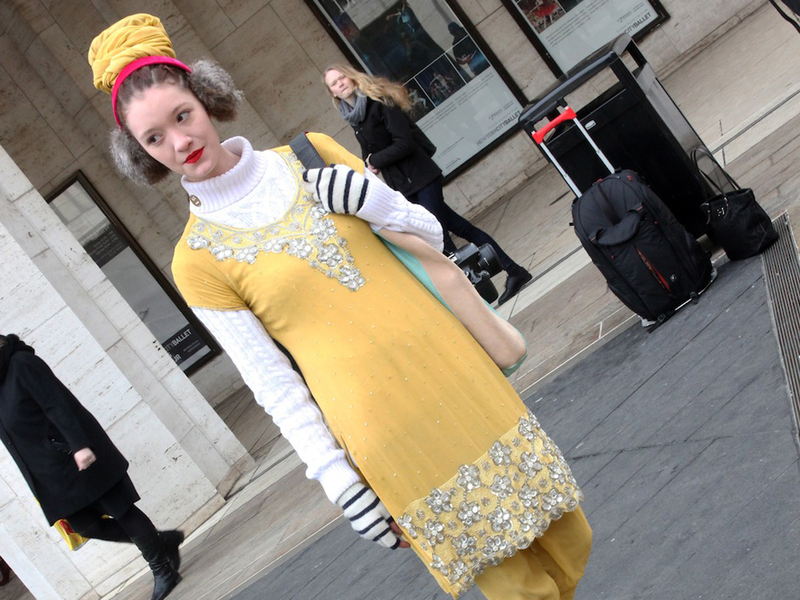 Gong said that runway fashions similarly emphasized color, particularly for stockings. She pointed to a trend of short dresses with a 1960’s feel, with makeup to go with the color. 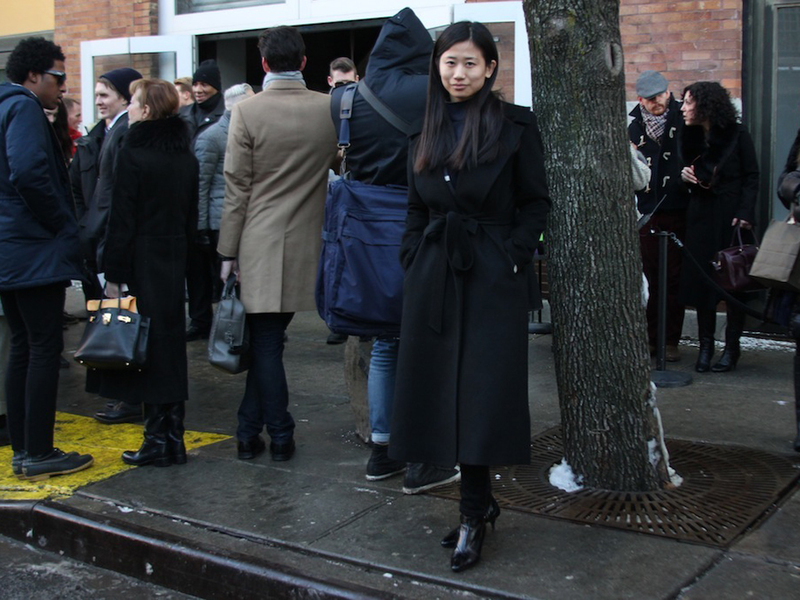 But Gong, who arrived at Fashion Week clad in black, said fashion should be a reflection of the wearer’s state of mind.